Every time the seasons change I feel a strong urge to go shopping and there always seems to be so many things I need (want) all of a sudden. However I have learnt that successful Autumn shopping/dressing is about adding a few key pieces to your wardrobe, that will see you through to Winter, that can be dressed up and down and that can complement what you already have. A statement coat: One thing I am always drawn to every season is animal print. I love it - animal print (in my opinion) is a neutral meaning it goes with everything, can be worn to anything and always looks fun and cool. A leopard print coat is so much more fun than a black one and you'll be surprised how versatile it is. 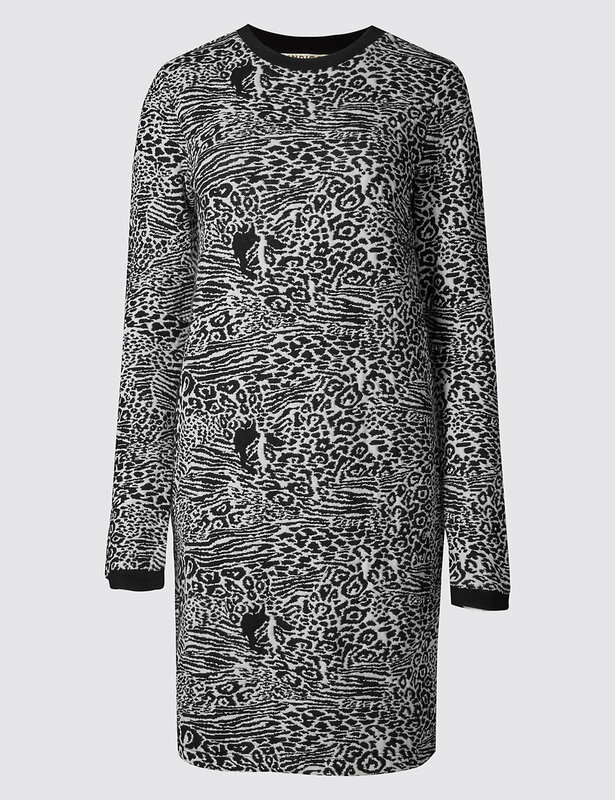 Marks & Spencer have a few different style leopard print coats in at the moment to suit every shape, size and personality. A new pair of jeans always makes a good addition to your wardrobe and can often bring back to life tops that you haven't worn for ages. These are great - high enough around the waist to hide the 'mum tum', slightly cropped and work with ankle boots, flats, heels and trainers. A jumper dress: I love this dress, so comfortable, can be worn over jeans, leather trousers, with boots and tights or trainers. 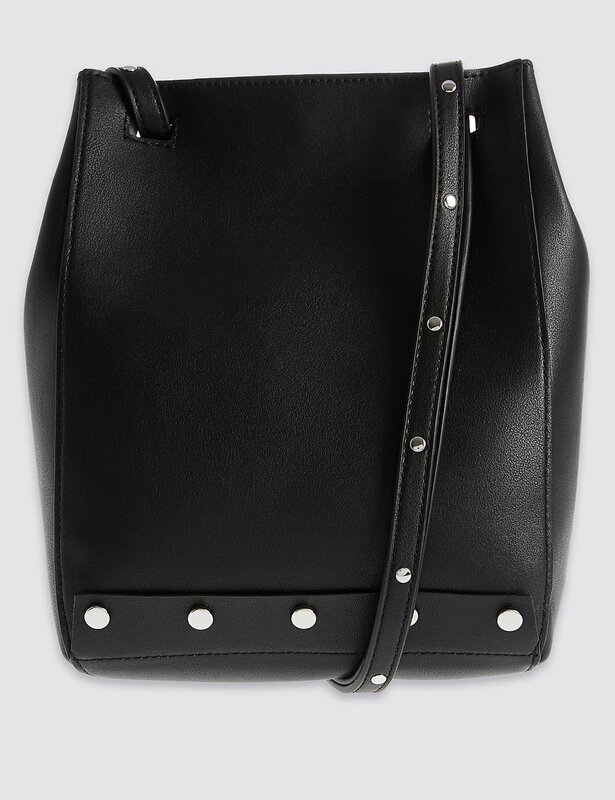 It would also look cool with a biker jacket on top or with a big colourful scarf. If you are pregnant this could be a good dress to invest in (go for a size up). A statement bag can be the making of an outfit - this heart shaped bag is amazing and perfect for Christmas parties, events and weddings. You'll never regret investing in a pair of practical boots these are a perfect mix of a biker and chelsea boot and will look cool with tights, jeans and dresses. 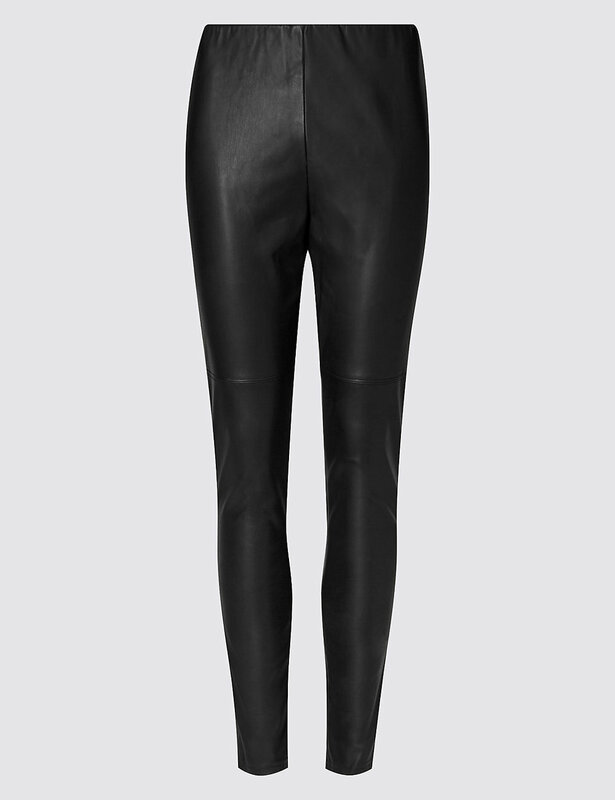 Leather (or faux) leather trousers are one of my Autumn/Winter staples, I wear them a lot, to everything with everything. For smarter occasions I usually wear them with a longer shirt and coat, then dress them down with a T-shirt, denim jacket and trainers. Striped shirts are having their moment and this is a great one - it is super super simple, flattering, soft and a perfect cut with it's long cuffs. 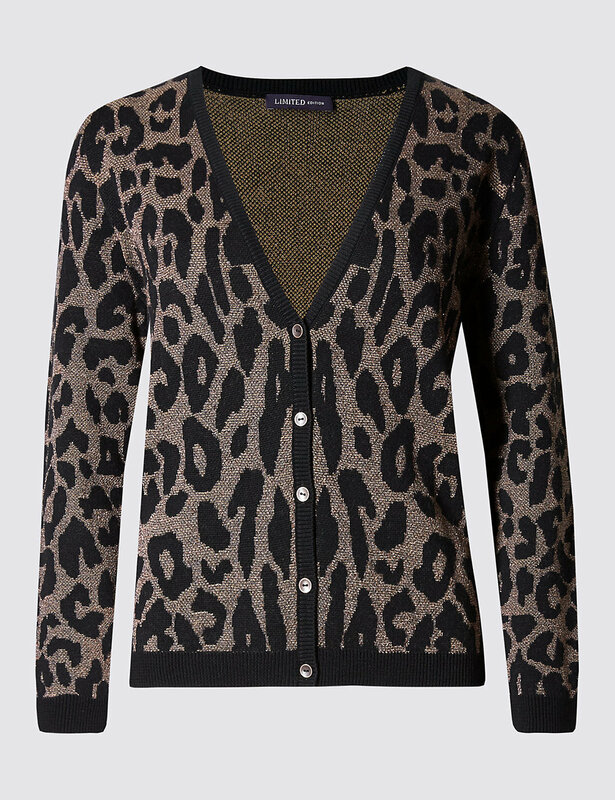 This cardigan is leopard print and sparkly - I don't think it needs explaining, it's a winner and would possibly become the most useful thing you own. This post is kindly sponsored by Marks & Spencers. All thoughts, clothes choices, ideas and purchases are my own.